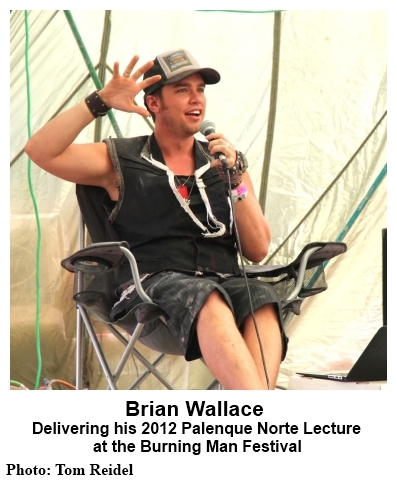 This podcast features Brian Wallace’s 2012 Palenque Norte Lecture at the Burning Man Festival. Brian, who has been a community organizer for MAPS and other organizations, is also expert on the cacao plant. Originally, Brian titled this talk “The Entheobotany of Cacao”, however, I decided to change the title to better reflect the wide-ranging discussion of a little-understood, but extremely important, plant. Brian’s talk is about significantly more than chocolate treats. Following Brian’s talk I play a short segment about the work of Occupy Sandy and close with a song sent in from some fellow saloners, The Chooks. It is simply titled “Occupy” and is freely available for download immediately below. 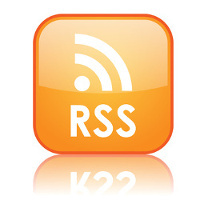 Posted in Brian Wallace, Cacao, Culture, MDMA, Occupy, Palenque Norte, Psychedelics, Shamanism. Glad cacao is legal 🙂 1-2oz of cacao butter in coffee blended is a wonderful experience. For more information on the ceremonial cacao revival, check out http://ceremonialcacao.blogspot.com/ …they have what they call “ceremonial grade” cacao available for sale that is very nice, along with some general guidelines and directions to create the experience yourself. David Wolfe’s Naked Chocolate is a great book for recipes for raw chocolate treats and products, and goes over a bit about chocolate history & nutrition. I would definitely recommend it. Jonathan Ott’s The Cacahuatl Eater is also a good, short read on the subject. does Brian have a blog or website? I have a bag of raw Criollo cacao and would like to know some simple recipes. Wondering for example if I can put the cacao powder in gelcaps and eat them, or if that would be too heavy on the stomach. Thanks Brian and Lorenzo for the wonderful lecture! does anyone know what a good dose of raw (read sun-dried) criollo cocoa beans would be? I can’t seem to find it on Erowid, although maybe it’s there, it’s just that I don’t know my way around that site. On a random web search I came across this article: http://www.fredericpatenaude.com/blog/?p=262 that seems to view raw cocoa as something rather dangerous, but it also seems biased against cannabis. Would anyone who has the time and interest care to debunk or confirm any of this information? I’m confused now, see 😛 I’ve had at least one wonderful experience with chocolate, although I wouldn’t say psychedelic. More than anything I’m interested in different dosage levels, their effects good and bad, and in whether there is any recommended way of preparation and/or intake. As Zuma wishes us all much love, so do I, to him and to you all! Keep creating the world of your most meaningful visions! Whether you do so with strife or playfully, thank you for your efforts. With you in the world I can have hope! this Salon is a large part of my heart. it is my favorite site of the web by far, to say the least. it is an active place, alive with motivation, love, and positive spirits moving in a forward progression. there’s unflaggingly calm clarity here, no matter what happens within and without. ‘this Salon’ contains many but you, dear Lorenzo, are it’s heart and soul. blessed you. love to you, Mr. Hagerty. i’ll be offline a while. i have been before, and returned, and surely shall again this time -it just will be a while. see you all later. keep the larger perspective, always. not my favorite Moebius illustration, to say the least, but it sure is a curious one. garden of eden, the snake in the tree -and cacao? cacao. i’m glad i’d listened to this podcast before seeing that illustration. Another great lecture from PN for those of us who got screwed by the BM ticket fiasco. Thanks to all who made this happen. I KNOW you realize how much value is in these! I’ve loved chocolate all my life. I’ve never been able to explain it. I don’t call myself an addict, though, since it can be weeks between “fixes”. I wait until my body tells me it wants/needs some and then down the hatch. My passion for chocolate, however, is pretty much 24/7. Just the thought of chocolate is enough for me most of the time. I know that there are many others who share these feelings for this beautiful, magical, and complex substance. Thanks to the speaker Brian Wallace for giving us a fairly detailed description. It only intensifies my passion. BUT, with little exception, I haven’t really delved into “high cacao content” chocolate. 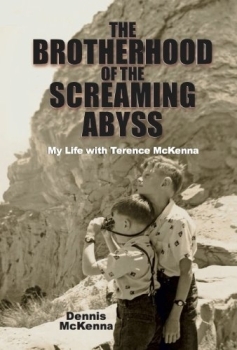 The little that I’ve done taught me an interesting lesson about surrendering: surrender to the “bitterness” that you first encounter when you pop that morsel into your mouth and on the other side of that super-intense olfactory sensation is a paradise unlike any other. I’ll bet if I bother to look around there’ll be a plant ally there, eh? Because of this presentation, I’ve decided to begin working with cacao. THANK YOU! So I’ve got a 90 gram bar that is 86% cacao. What dose is required to begin working with the ally? Do this on an empty or full stomach? Any recommendations for set and setting? The perfect Christmas present for my hubby (well for me actually)… and they have sold out!!! Do you know where else I can buy one?? PS Great work Lorenzo! You are a life saver! 5:30 into listening to the podcast now, thinking of dragging down my ancient copy of Food Of The Gods to refresh myself on what Terence said about chocolate. like many kids, chocolate was my drug of choice as a youth. my grandmother was big on it, pushing it heavy. she was french and born in the 19th century and i think they were huge on chocolate back then and there. …Brian does foreign accents well. what is it they say chocolate has in it? phenylethylamphetamine? the love drug, so to speak? 18:20-ish tobacco. i was wondering when that would be referenced. the pod size is “yay big”… lol. i tell you, never listen to podasts lating doiwn. -i awoke to the occupy song. quite lovely. i need to listen to the podcast again. i remember Brian talking about not sweetening cacao or at least as little as possible. and about not processing it too much such as roasting. i remember getting the munchies… while straight. …when i was a kid, i used to love putting Nestle’s Quik on all sorts of things but my favorite was on buttered toasted raisinbread… i wonder if Brian mentioned baking chocolate, or some other unsweetened grocery store chocolate. that might’ve a bit afield from central subject though… but as i sit here eating an apple, i’m wondering if there isn’t some sort of chocolate available i could do. some sort of unsweetened cocoa perhaps. what’s the difference between chocolate and cocoa? maybe i’ll give the Jonanthan Ott talk another listen while I’m at it… yep.